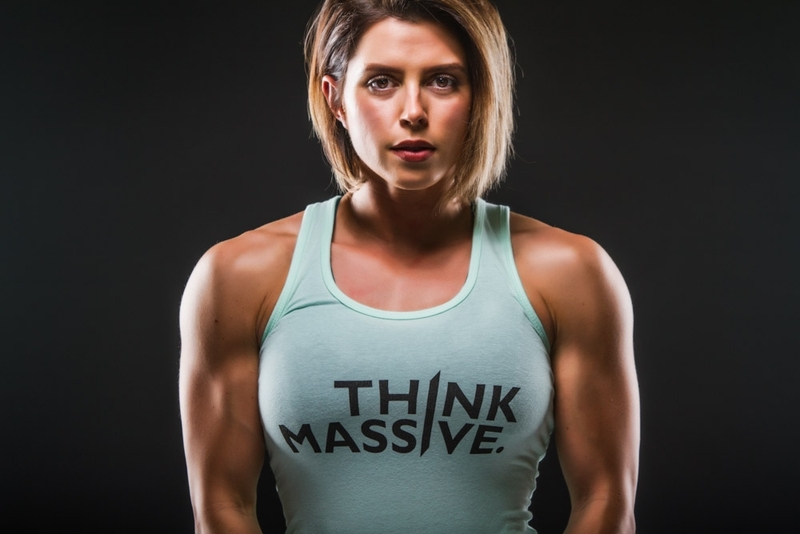 When Alicia Coates, IFBB Figure Pro, heard about the Think Massive Mantra of Monolith Apparel she was hooked! We’re always looking for people, athletes, and competitors we believe are living that Think Massive Mantra and putting in the hard work every day. It’s even better when we find a person that happens to live in the same valley we do! Alicia is one of those people you can’t deny is living that Think Massive Mantra daily. So we reached out to her to see if she would be interested in helping spread the word of a local Arizona brand trying to make some changes in the fitness apparel industry… when she heard what we were doing, she was totally down! We told her about the Think Massive Mantra and what it means to live a life by that mantra every day. She loved the softness of our T’s and Tanks and the looks of some of the new gear we were getting ready to drop for Summer. We spoke pretty highly of our own gear, but who wouldn’t? This company, the products we create, and the human mentality we try to foster… it’s our baby! She tried on our Compression Leggings and fell in love! She literally told us ” Don’t change a thing!”, but there were a couple upgrades we had to add to make our version 2 ladies compression leggings even better! (Stitch count and thread tensile strength.) Not to mention a new selection of tasty colors for everyone to enjoy! After throwing some ideas around, we thought it might be a good idea to do a Special Release! Although the Limited Edition Hoodie sold out (quickly), you can still grab other quality gear in our store! There were only 150 Limited Edition Coates pieces produced and they went FAST! The moment Alicia Coates mentioned them on her social media, the limited production hoodie sold in no time! It was pretty crazy to track just how many people saw the message, the brand, and the Rose Gold and swiped up their individually numbered piece. Her fans love her and loved the piece we created with her. It’s still one of our highest rated (and fastest selling) pieces to this day! We turned Monolith Ground Zero (aka Bishops Training Facility the home of our favorite personal trainer) into a photo studio and captured some amazing images of IFBB Pro Alicia in her element… the gym, ready to train. Some of which we’ll be releasing soon on our Youtube channel! We loved working with Alicia and had a blast creating the piece and the website images that went along with its release! 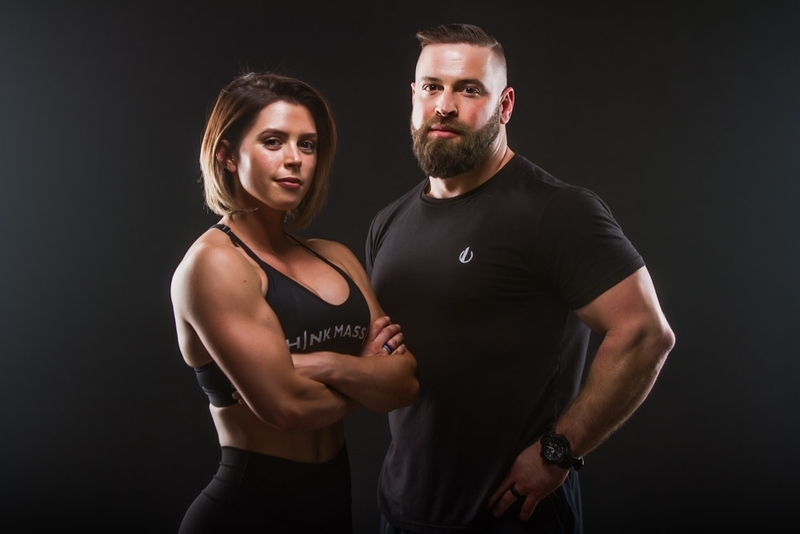 It’s not too often in the fitness industry that you come across someone with so many accomplishments that is so down to Earth, especially with a bodybuilding celebrity status! Working with an IFBB Figure and a Competition Superstar. It was very cool getting to hear some of the stories she had about working with other brands in the fitness industry and about some of the people she’s become close with and the opportunities presented to her for being such a hard-working and notable face in fitness. We had a blast working with Alicia and hope in the future to be able to work with her again! As we continue to grow, evolve and better ourselves we hope to cross paths with more amazing, inspiring, and motivating people just like her. Until then, we’ll keep working hard to produce the best American made athletic gear in the industry! Think Massive may be our Mantra, but it’s also how we approach our product quality. Good isn’t good enough! Do you want to work with, or know anyone you think would be a great fit to work with us? Drop us a line! We’re always looking for those folks that are inspirations, be it to you, or you… we’d love to hear about it! Either way, go out, set your goal. Let nothing take you off course. We believe in you and know that you are capable of so much more than you currently believe. There’s only one thing you can do… Think Massive every day and smile while you do it!